Some people are born into families, some people make their own, and some people stumble onto theirs in the dark. This week, we're here for the found families which gave us a home in science fiction and fantasy. You'll know many of the titles and many of the worlds: Star Trek, Harry Potter, Firefly, Lumberjanes, Avatar the Last Airbender & The Legend of Korra, Steven Universe, Jacqueline Carey's "Starless," Becky Chambers' everything, Charlie Jane Anders' "All the Birds in the Sky," Madeleine L'Engle's "A Wrinkle in Time," and many many (MANY) more. There's something inherently queer about the found family trope, or perhaps more rightly we should say that found families make critical space for the queer conversations which have informed our lives as readers and authors and commentators on science fiction and family. We find ourselves in these books, and we want to dig into all of the reasons why! You can find our back episodes on YouTube. 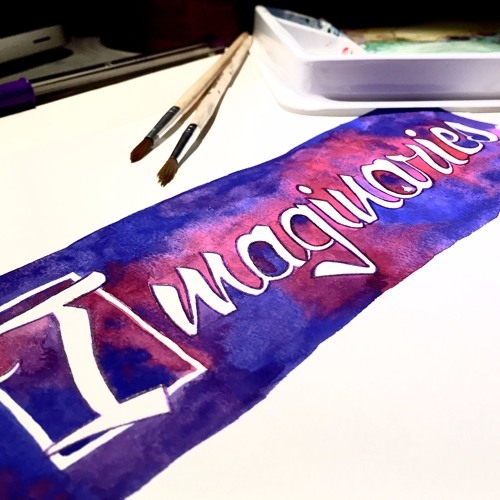 Our Twitter handle is @imaginary_pod, our website www.imaginaries.net, and our email imaginarypod@gmail.com. If you would like to help support our work, you can do so at www.ko-fi.com/imaginaries. And don't forget to vote on on our "What Should We Read Next?" lists on Goodreads! See our Twitter for more information on that. Thanks for listening!